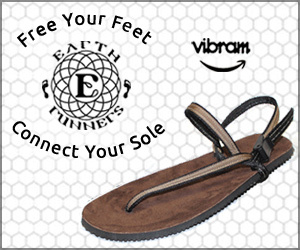 What Is "Earthing" And Why Do We Need It? ☛ I originally wrote this piece for Inner Balance Healing. You may have heard of it before. It’s been a buzzword in the holistic health community for a few years now, but it’s finally taking off in a big way. Maybe you saw a little blurb in a wellness magazine, or saw something pop up on your social media about this amazing healing technique. Of course, the wonderful thing I’m talking about is earthing! And you probably have some questions about it- what it is, how it works, and why you might want to give it a try. Well, this post is for you. Earthing, also called grounding, is the act of connecting electrically with the earth. Our human bodies are electrical instruments, and so are the natural elements around us, and when we bring these two things together, we can exchange frequencies and bring ourselves back into a state of balance. It seems like a relatively simple concept, but most of us that live in the modern age are accustomed to being insulated from these healing frequencies. We wear rubber or plastic-soled shoes all year round, we sleep up off the ground in our comfortable bedrooms, and we rarely touch base with the actual soil. Unlike our ancestors, we no longer have that natural electrical connection to the earth, but now is our invitation to reclaim that. We are living in the digital era, and more and more of our daily activities are becoming electronic in some way. We watch televisions, work on computers, socialize on smartphones, and have surrounded ourselves with gadgets that buzz, beep, blink, and transmit electrical signals around the clock. We run electrical space heaters, have WiFi routers, and flick on our CFL bulbs every time we walk in a room. Each one of these devices emits its own vibration or electromagnetic frequency, and it can wreak havoc on our bodies over time. Luckily, grounding is one way that you can diffuse some of that radiation, and better shield your cells from all the static. You see, the earth carries an abundance of free electrons, many of which are concentrated on the surface (called a negative electrical potential), and we can use those to neutralize the excess of positive charge we have floating around in our bodies, giving us one of the most potent antioxidants available! Our bodies are under a lot of stress these days, with chemicals in our food, water, and air, with our high-pressure jobs, and our increasingly pessimistic worldview. All of these things create free radicals in our bodies, which both speed up the aging process and also dampen our immune system. We are under tremendous oxidative stress, so it’s perfect that Mother Nature has provided the perfect antidote to all of those free radicals, right here, under our feet! Because electricity is such a solid scientific principle, you can actually measure your own body’s voltage, and watch it change as you manipulate things in your environment. When you are grounded in the earth, you can physically see and feel your body voltage decrease, illustrating a reduction in electrical stress on your system. This is because you are utilizing all those amazing free electrons from the earth to neutralize the ones in your body, while also giving the electromagnetic radiation you’ve accumulated somewhere safe to go. All of this adds up to a body that is lighter, more efficient, and better able to carry out physiological functions that are necessary for healing! These are only the beginning of the benefits of being grounded, and I highly recommend you start making this a regular practice. You can walk outside barefoot in the dirt, sand, or grass. You can swim in a natural body of water. 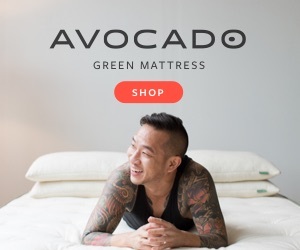 You can also purchase many amazing products that connect you electrically to the earth’s energy, even while indoors! I’m thrilled to be using an earthing mat of my own, on my therapy table, and I’ve noticed great benefits already (so have my clients!). Want to give earthing a try? 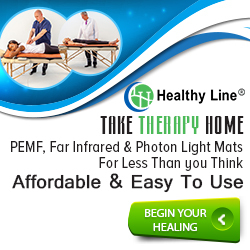 Make an appointment today, and come check out my new earthing mat! Or, get in touch with me to order your own grounding mat- I'm proud to be a distributor for Grounded Beauty, and I use mine on a regular basis!